Karina's Kreations: Celebrate Today Bokeh Technique Card! Celebrate Today Bokeh Technique Card! I finally made a video showing the Bokeh technique. I hope you'll try this technique. It's so fun!!! Here's the link to see the supplies for the card!Supply list post! Here's the version of the card my friend Karen made! 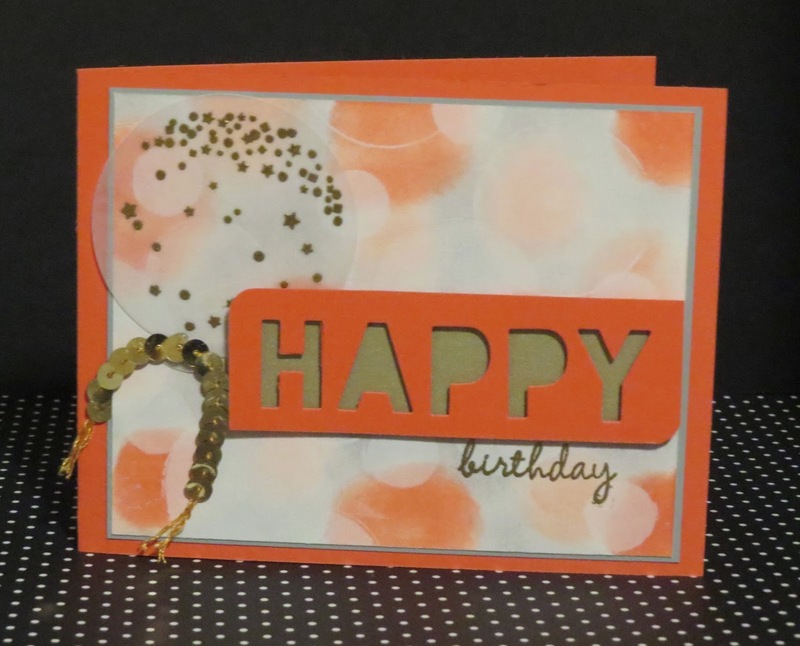 The colors in this card are Calypso Coral, Crisp Cantaloupe and Smoky Slate.